Barcelona, capital of the Catalonia region in Spain, is a cosmopolitan Mediterranean city that still incorporates Roman remains in its urban street pattern, as well as medieval districts and beautiful examples of Modernism and 20th century avant-garde art. The emblematic buildings of Catalan architects Antoni Gaudí and Luis Doménech i Montaner were declared to be World Heritage Sites by UNESCO. Barcelona's long history, of Roman origin, and its economic dynamism have provided the city with an impressive cultural heritage, shown in the conservation of its rich historic and artistic heritage and in the encouragement of the newest artistic trends. Its long cultural agenda will lead the visitor through museums, exhibitions, outdoor sculptures... and an extensive calendar of music, theatre, and dance. At the same time Barcelona is recognised as a global city thanks to its importance in finance, tourism, commerce, the media, entertainment, the arts, international trade and education. It is also an extremely well-connected city, with its own Barcelona El Prat international airport, which handles 30 million passengers each year, and an extensive motorway network and high-speed rail connections. As the capital of the region of Catalonia, it also houses the seat of the Catalan government (the Generalitat de Catalunya). Barcelona enjoys a Mediterranean climate, with the summer lasting from about May to October. This breathtaking cathedral was designed by the architect Antoni Gaudí and has become the international symbol of Barcelona. It has been under construction since 1882 and completion is planned for 2026. It is considered to be Gaudí's masterpiece. This is probably Barcelona's most popular street. It is famous for its street performers, living statues and flower stalls and it is always crowded with people. There is a huge flower market and many kiosks selling books, magazines and newspapers. The amazing park, designed by Antoni Gaudí. 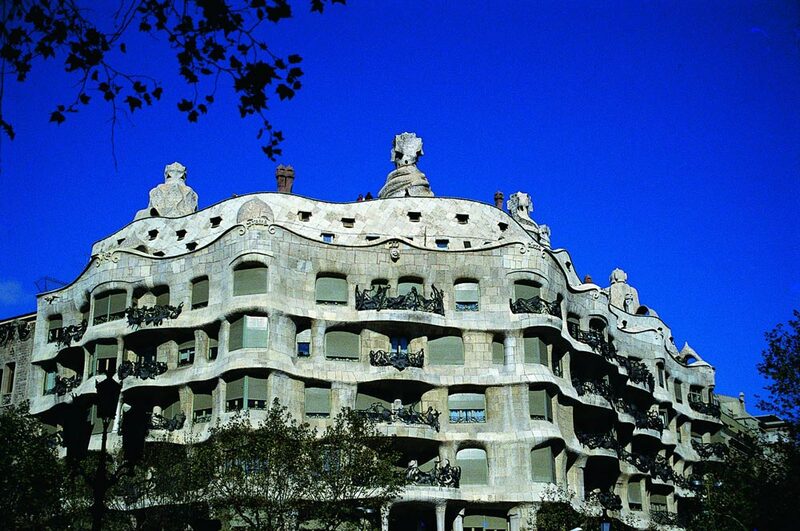 Other of his important works are the Batlló house and Casa Milá. This labyrinth of streets around the cathedral forms the medieval center of the old city and is full of charming boutiques and antique dealer shops. Some of the most important events in Barcelona's history took place here and many of the buildings are World Heritage Sites. The Montjuic is a mountain located beside the city's port. It offers impressive views of the city. This is the home ground of F.C. Barcelona and one of the largest football stadiums in the world. The Sant Jordi Palace was the house of the gymnastics at the 1992 Olympic Games and has since been used as a concert hall. It was designed by the Japanese architect Arata Isozaki and is illuminated at night. The 1992 Olympic Games were staged in the Olympic Stadium of Barcelona, which was rebuilt by a number of architects of different nationalities. It can accommodate 65,000 people and is the home stadium of the city's other football team, 'Espanyol'.